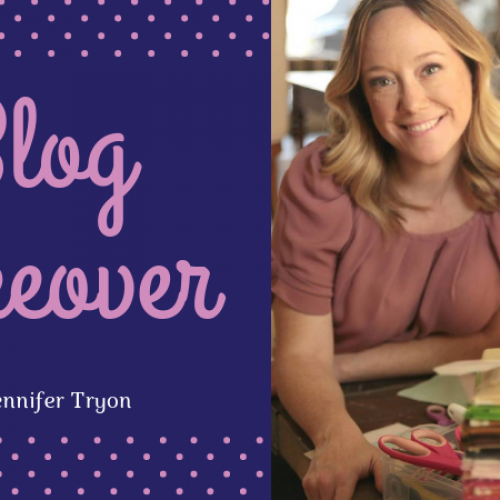 It’s Jennifer Tryon here with my first ever Crafter’s Companion Blog takeover! Check back every Wednesday for a special sewing blog post from yours truly. I’ll be making sacks full of exciting projects including, clutch bags, bunting and even a Gemini cover! I can’t wait to get started. This week, we’re starting simple with this lovely napkin that has me ‘buzzing’ with excitement. Keep reading to see how I made it! even coat on the stamp. Then I placed the stamp onto one corner of the fabric. I re-inked the stamp then very carefully tessellated the die to line up with the previously stamped image and restamped the napkin. I continued this 2 more times. I cleaned the stamp and returned it to the stamp set. To add an extra accent I added a stamped bee to each corner. smear or will not wash out. Thank you all for reading! Don’t forget to check back next week for takeover with me!